Enbridge CEO Al Monaco was in Duluth this week in a desperate attempt to shore up support for his proposed Line 3 crude oil pipeline expansion through northern Minnesota. He was throwing out new incentives, promising jobs for Native Americans and trying to woo supporters. Canadian-based energy transportation giant Enbridge is trying to put on a “Good Neighbor” face, when in fact its motives seem less than altruistic. 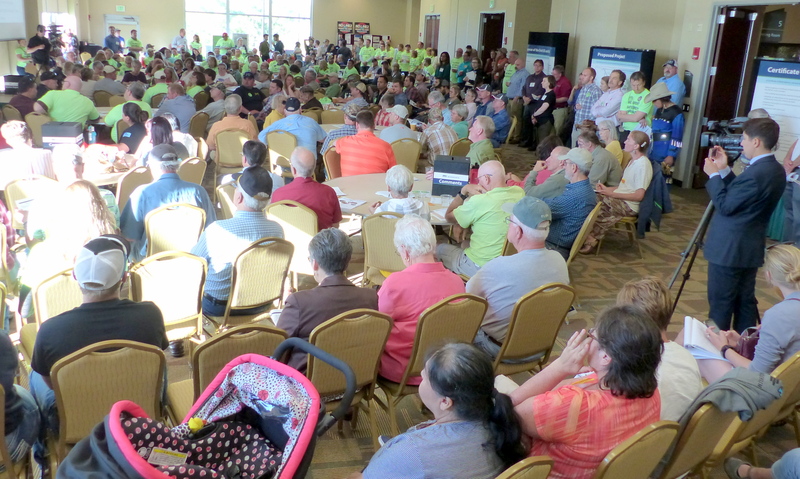 Hundreds packed a Line 3 public hearing in Bemidji. Public response was overwhelmingly against the project. The Minnesota Public Utilities Commission (PUC) is expected to vote on Line 3 later this month, and things aren’t looking good for Enbridge. The Administrative Law Judge that handled Line 3 testimony issued her report in April, concluding the costs outweighed the benefits for the new pipeline route Enbridge proposed. The Line 3’s environmental impact statement (EIS) concluded that Enbridge’s proposal would add $287 billion in climate change costs over 30 years, costs Enbridge is passing on to the public. The Minnesota Department of Commerce concluded the pipeline isn’t needed. Ojibwe bands affected by the pipeline strongly oppose it. Hundreds of the state’s religious leaders are registering their opposition. Public Testimony on Line 3 overwhelmingly opposed it: Of the roughly 72,000 comments, 68,000 or 94 percent were thumbs down. Line 3’s window of possibility is still ajar, however. The Administrative Law Judge left open the option of rebuilding Line 3 in the current trench, a plan neither Enbridge nor Line 3 opponents like. So Enbridge came to town bearing gifts to try to keep its proposal going. It’s a strong indication that Enbridge knows its project is in trouble. A Friday Duluth New Tribune story headlined: Enbridge CEO rallies with Line 3 supporters in Duluth outlines Enbridge’s gift basket. Enbridge … said it is spending $100 million to hire Native American workers and businesses for the Line 3 project. The program would “target opportunities for tribal nations on the U.S. side of the project, which is mostly Minnesota,” Monaco said. Comment: If Enbridge truly was interested in building relationships and supporting Ojibwe people and their governments, it would have made this offer at the beginning of the process, not the end. Significantly, Enbridge has not engaged the Ojibwe in a meaningful conversation about treaty rights. Five Ojibwe Bands in northern Minnesota filed a joint petition to reject the Line 3 EIS because it lacked an historic preservation assessment on the proposed new pipeline corridor. The petition criticized state efforts, but Enbridge did nothing to support the tribes in this matter. In the worst-case scenario that the PUC approves Line 3 in some form, it’s good to have this provision supporting Native American workers and businesses. But the offer seems more marketing and desperation than altruism. Comment: It’s a meaningless statement. Of course they are using “brand-new technology.” What else would they use, the old stuff? Enbridge appears to think that saying “brand-new technology” is a magic word to make everyone feel safe. It shouldn’t. 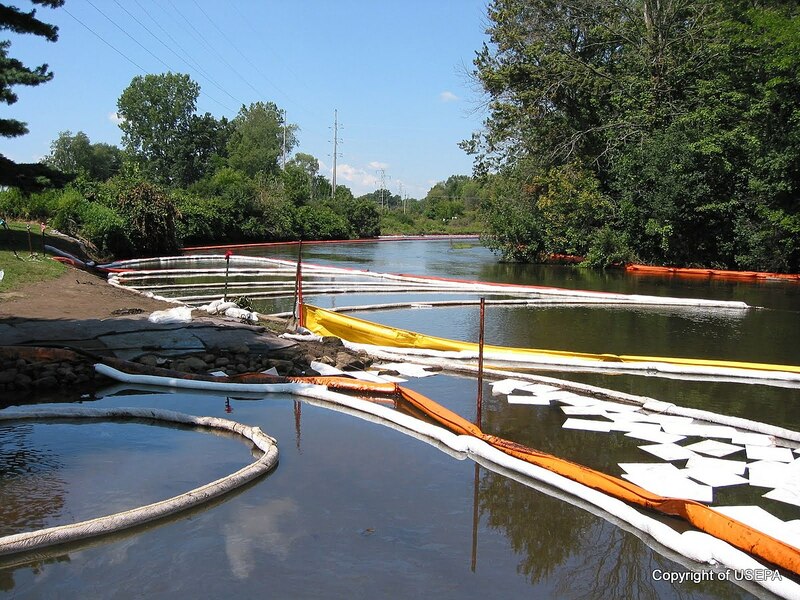 An Enbridge pipeline in Michigan had a massive spill in 2010 with roughly $1 billion clean up costs. Once upon a time, that pipeline was “brand-new technology,” too. Comment: From the beginning, Enbridge has balked at removing the old pipeline, putting the cost at $1 billion. Line 3 opponents have testified repeatedly that Enbridge should give landowners the option to have the pipeline removed. The Administrative Law Judge’s Line 3 report recommends Enbridge remove the old pipeline. Now, under pressure, Enbridge is offering to remove some of the pipeline. This is not a generous offer “to garner … more support,” it’s an acknowledgement of the writing on the wall. News about Line 3 is getting national attention. The Washington Post wrote a story Friday headlined: Religious leaders oppose proposed Minnesota oil pipeline. And just a reminder: a number of religious leaders from various traditions will gather Monday in Leif Erickson Park west of the Minnesota state Capitol at 2 p.m. for a ceremony, then deliver letters opposing Line 3 to both Gov. Dayton and the PUC) Here is the Facebook event page with more details. Come if you can.